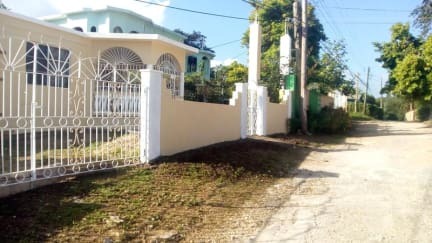 Our property is Reggae Moon Guest House. Located in the little district of Granville. Granville was one of the first Free villages set up by the Emancipators. You have a chance to experience the true Jamaican culture by living among real Jamaicans. Experience the food, the music and much more. Our rates are unbeatable. You will be hosted by a very friendly and helpful staff. There is a 24-hour front desk. We provide free Wi-Fi throughout the property. Free parking is also available. Airport shuttle service and transportation from and to bus stations also for shopping and sightseeing is also available at economical prices. We have a washing machine and ironing board available. Home cooked meals can be provided upon your request. Located in Granville, just outside of the Historical town of Falmouth. Falmouth is a seaside town with old Georgian buildings. The town was modelled after a town in England back in the colonial days. Falmouth was the first town in the Americas to have running water. It had running water long before New York City. It now features the Caribbean's largest cruise Ship pier. From my property you can go on tours to the Luminous Lagoon, Hampden Estates Rum Tour, Jamaica Swamp Safari Crocodile Farm, Chukka Good Hope Tour, Rafting on the Martha Brae River, Burwood Beach and many other interesting places to see. We offer four clean comfortable rooms. One room with Queen Size bed, two standard rooms with double beds and one small room with a bunk bed. 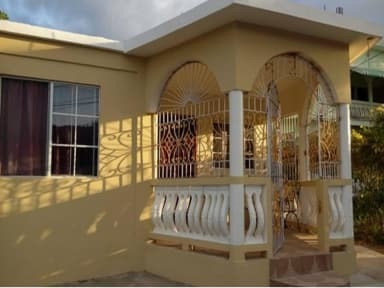 The property has a patio attached at the front for relaxation where you can enjoy the sunshine, the Caribbean breeze and the moon at night time.